dataset of electric signatures of equipments and categories to be used for machine learning tasks. 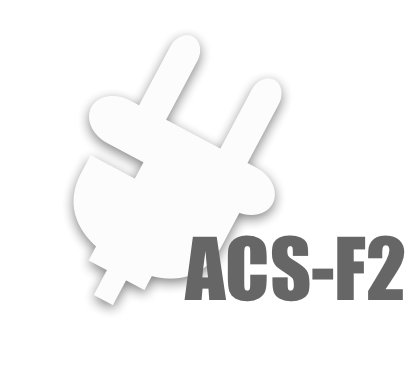 ACS-F2 is the second version of a database of electricity consumption signatures of devices in different categories. The database contains multi-dimensional time series of electricity related characteristics including current, active power and reactive power. The time series can be used to model the different equipment and perform machine learning based tasks such as classification or prediction. The dataset can be used to benchmark industrial types of models used to monitor electricity consumptions of equipments in an industry 4.0 setting. By means of plug-based low-end sensors measuring the electrical consumption at low frequency, typically every 10 seconds, we made two acquisition sessions of one hour on about 225 home appliances divided into 15 categories and 6 consumption measures. We now give free access to this ACS-F2 database. The proposed test protocols will help the scientific community to objectively compare new machine learning algorithms. Acquisition sampling frequency: 10-1 Hz – Most approaches use high sampling frequency in order to capture the electrical noise generated by the appliance and use this noise to distinguish the different categories of appliances. In our approach, we use a larger time space in order to build what we call an electrical consumption signature of an appliance. Acquisition duration: 2 sessions of 1 hour each – According to the sampling frequency, one hour of acquisition is a reasonable value to build an electrical consumption signature for an appliance, so that all possible running states are recorded. These two acquisition sessions are performed for each appliance of each category, at a different time and with a different use profile. It is essential to have a common and varied use of the equipment being acquired. Number of appliance instances per category: 15. Number of appliances per acquisition device (i.e. PLOGG): 1 – We want to record disaggregated signals. phase of voltage relative to current (φ). Two different data formats are available. An XML data structure has been designed for storing the raw observations, some meta-data and the ground truth values of the appliance categories. The proposed test protocols will help to objectively compare new algorithms. In the test protocol 1.0 (or intersession protocol) for appliance recognition, all instances of acquisition session 1 must be taken in the train (resp. test) set. In other words, cardinalities of both train and test sets are equal. For a given recording, it is allowed to use the whole duration of the signal, namely 1 hour. Classification results must be presented in the form of a confusion matrix and the overall recognition rate. In the test protocol 2.0 (or unseen instances protocol) for appliance recognition, all instances of both sessions are taken to perform a k-fold cross-validation, where k = 15. In other words, we randomly partitioned all instances into k = 15 subsets. The cross-validation process consists then in taking successively each of the k-folds for testing and the remaining for the training. As for test protocol 1.0, for a given recording, it is allowed to use the whole duration of the signal, namely 1 hour. Classification results must be presented in the form of a confusion matrix and the overall recognition rate averaged over the k-folds. This work has been supported by the grant Smart Living Green-Mod from the Hasler Foundation in Switzerland. Link : Hasler Foundation. The owner of the ACS-F2 database is iCoSys Institute, University of Applied Sciences HES-SO//Fribourg, Engineering and Architecture Faculty, Pérolles 80, CH-1700 Fribourg, Switzerland. The data is supplied with no guarantee of accuracy or usability. Therefore, we can not be liable of any loss or damage resulting of the use of the database. We can not guarantee to maintain the ACS-F2 database. The ACS-F2 database is for non-commercial research only. A. Ridi, C. Gisler, and J. Hennebert, “ACS-F2 – A new database of appliance consumption signatures,” in Soft Computing and Pattern Recognition (SoCPaR), 2014 6th International Conference of, 2014, pp. 145-150. The ACS-F2 Database is available now ! It’s free to download for non-commercial research.